Translation is the necessity for today’s world and we are providing the Malayalam translation in its best possible way. We employ only the very best Malayalam translators the world has to offer. They are meticulously screened during our rigorous selection process so that only specialists having the best qualification, industry experience and subject expertise handle your translations. We only work with dependable and experienced translators who consistently display superior performance and quality results. We ensure that the Malayalam translators assigned to your project have the appropriate expertise required to provide you with a high quality, culturally sensitive translation in any field that you desire. Malayalam Translation Fields: Document Translation ( IT Manual, Software Manual, Multilingual User Manual, Technical Script and Manual, Training Material, Medical Documents, Engineering Documents, Marketing & Advertising, Legal Documents, Literatures, Official Papers, Tourism, Sports), Website Translation, Software Localization, Multilingual Web Publications, Web Content management and translation, Print Publications. Malayalam (മലയാളം) is a Dravidian language used predominantly in the state of Kerala, in southern India. It is one of the 22 official languages of India, and it is used by around 36 million people. Malayalam is also widely used in the union territories of Lakshadweep and Mahé, the Kanyakumari district of Tamil Nadu and the Kodagu and Dakshina Kannada districts of Karnataka. It is also used by a large population of Indian expatriates living in Arab States, the United Kingdom, the United States, and Canada. Malayalam is thought to have developed from Tamil and began developing a body of literature by the 9th century AD. The language uses a large proportion of Sanskrit vocabulary. Loans have also been made from Portuguese, Arabic and, in more recent times, English. 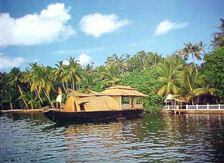 The term "Malayalam" comes from the words mala (Mountain), alam (Place). Hence malayali means Mountain people who lived beyond the Western Ghats, and Malayalam the language that was spoken there. Another etymology is that it comes from mala (Mountain) and azham (Ocean) - referring to the Sahya mountains and Arabian Sea that bound Kerala. Malayazham later became Malayalam. Malayalam to English Translation services - Low Cost Malayalam Translation- Indian Language Translators - Cost effective Malayalam Translation Network - Kolkata Malayalam Translation - Website Localization India - Kolkata Translators - Malayalam Content Writing India - Malayalam Language Professionals Kolkata.